Last months Tokyo Game Show teased the newest edition to the Sword Art Online game collection, Sword Art Online: Lost Song. 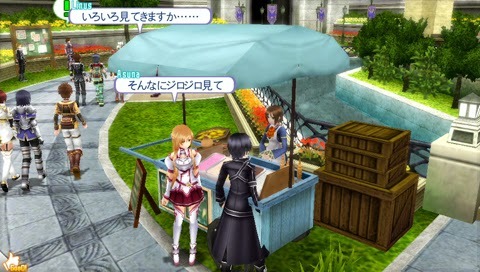 Sword Art Online: Lost Song was officially announced today for the PS Vita, and PS3 systems. The game got its official announcement by Namco Bandai at the Dengeki Bunko Fall Festival. The RPG is set in the world of ALfheim Online, and is said to feature an all new story. Sword Art Online: Lost Song will presumably only appear in Japan, however no details have officially been given with regards to the regions of release. What is known is that Sword Art Online: Lost Song will release sometime in 2015. Namco Bandai is set to release more details on October 16th.